This top is versatile – I use it as either as a top by wrapping it or as a jacket by leaving it unwrapped. The soft khaki suedette feels luxurious. The original price is £55 but is now at a whopping 80% off at £10. You can find it here. 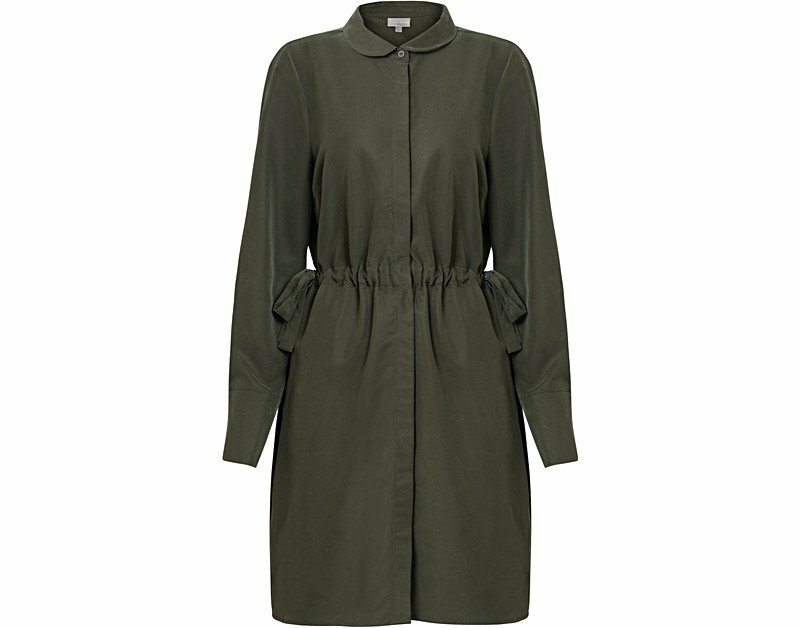 Cut in a rich khaki hue, this green knee length dress with pockets features a casual silhouette that can be flexibly styled with a cinched in waist by tying the drawstrings on either side. It originally cost £65 but is now £25 in the sale. You can find it here. It is a great price considering how it looks similar to the dresses by Equipment (see Net-a-Porter).